Reworking of Shakespeare's A Midsummer Night's Dream. Considering Shakespeare is the dominant influence upon the English language - his plays the very catalyst that inspired our vocabulary from a perfectly adequate means of communication towards a supple instrument of introspection, interaction and infinite poetic expression; and his collected theatrical works the gold standard of words written down on a page for other people to bring to life within a dramatic context - there are only a handful of decent cinematic adaptations of the Bard to speak of. Perhaps this is because movies, as suggested by the noun, are defined by action, an art form where the initial novelty was the moving image, and dialogue was perfunctory and unheard (could this be the reason why directors who orchestrate action are prized over screenwriters who simply write the words?). In Shakespeare’s theatre, kinetic energy is instead created by words spoken, by the allusive dynamic of the language applied; leaping rhetoric, hypnotic subordinate clauses and a febrile lexicon that was evolving before the Elizabethan’s very ears. The more functional capacity of movie dialogue, which is always embedded within a cinematic context, is the opposite to drama’s more dominative discourse, which shapes and constructs meaning with bold exclusivity. That said, A Midsummer Night’s Dream, with its visually promising realms of bored young aristocracy, the arcadia of faerie and the budding slapstick potential of the ‘rude mechanicals,’ is maybe the Shakespeare play which has the most cinematic potential (Max Reinhardt’s 1935 version is not only the greatest adaptation of Shakespeare, but one of the most enchanting films ever committed to celluloid). Shakirah Bourne and Melissa Simmonds’ A Caribbean Dream relocates the action of A Midsummer Night’s Dream from spooky Athenian forests to the lush technicolour of the Caribbean (BARDbados, anyone?! ...I’ll get my coat), and explicates the sexual, pagan energies of Shakespeare’s original with street festivals, an electric colour scheme and a diverse, visually interesting cast. Here Puck is a sinister old queen in the Quentin Crisp mode (unlike the typical, well, puckish representations of most adaptations) and Bottom is a larger, ebullient lady. 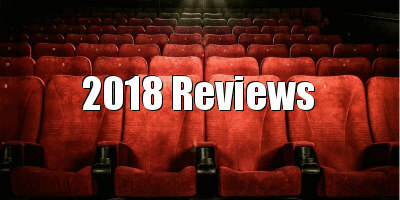 Despite setting his plays in the far or near past, Shakespeare only ever wrote to the contemporary, and the best film versions of Shakespeare understand that the original Elizabethan has to be not only transposed to modern contexts (like everyone’s fave 10 Things I Hate About You), but also exchanged within the technical capabilities of cinema (come on, we were all excited by Baz Luhrmann’s Romeo + Juliet when we first saw it). Here setting is used to gorgeous effect, along with beautiful costumes and inspired make up, to recreate the kingdom of Oberon and Titania. Likewise, the film’s equivalent of Theseus’ material abode are the palatial villas of the Barbados coast, with wealth and comfort signified by flashy cars and deluxe weddings. However, it would have been interesting if Bourne had further stretched the update to encompass the rich indigenous folklore of the Caribbean. If Puck had been adapted as a version of Ananse, say, and Bottom’s transformation conflated with the Ligaloo. Stretch him as far as you like: Shakespeare can take it, and in fact, demands it, lest we simply recount what already exists. Instead, within the post-colonial context of the film, there is an extended sequence involving the mechanicals that comes off as rather unfortunate. As the company (who are all poor, ill-educated and black) perform their play and harbour dreams of ‘visiting London,’ the audience of lovers and hangers-on (predominantly white and rich) openly take the piss out of how awful the act is, the camera’s bias positioning us to join in with Theseus and co… eek! But if these shadows of the past have offended, think upon the lush mise-en-scene, cheerful calypso beats and vivid imagery and all is mended. To sleep, to dream this dream, with its playful approach to Shakespeare and entertaining action, is a pleasure to the eye. 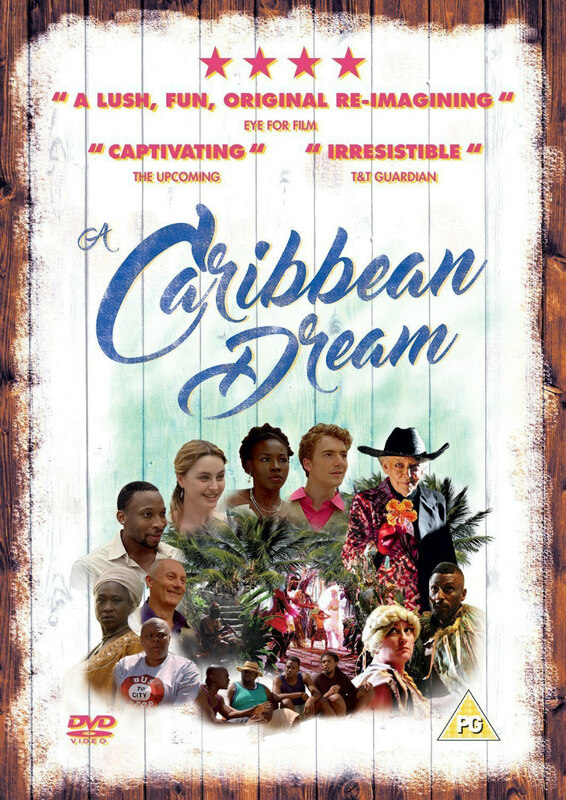 A Caribbean Dream is on DVD February 12th.